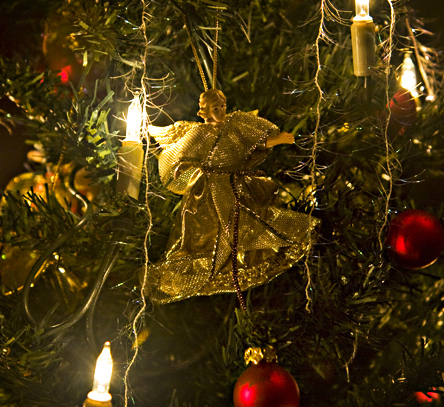 The Danes celebrate Christmas on the 24th with a traditional meal of duck or goose, sugar browned potatoes, brown gravy, and rice pudding, followed by singing and dancing around the tree, and presents. Tonight, I’m sort of following Danish tradition, except the tree is a tiny tabletop edition and there won’t be any singing, dancing, presents, duck, or goose. Merry Christmas, Sage. The beans sound easy – apple isn’t hard, and neither are popovers. You should do fine. Sounds just wonderful Sage. I hope you and Opie have a very Merry Christmas!